WHICH ELEMENT DO YOU REPRESENT? Shiva Five stands for the celebration of Hip-Hop Culture via healthy and creative self expression, as well as for the advancement of creative education for children and young people around the world. 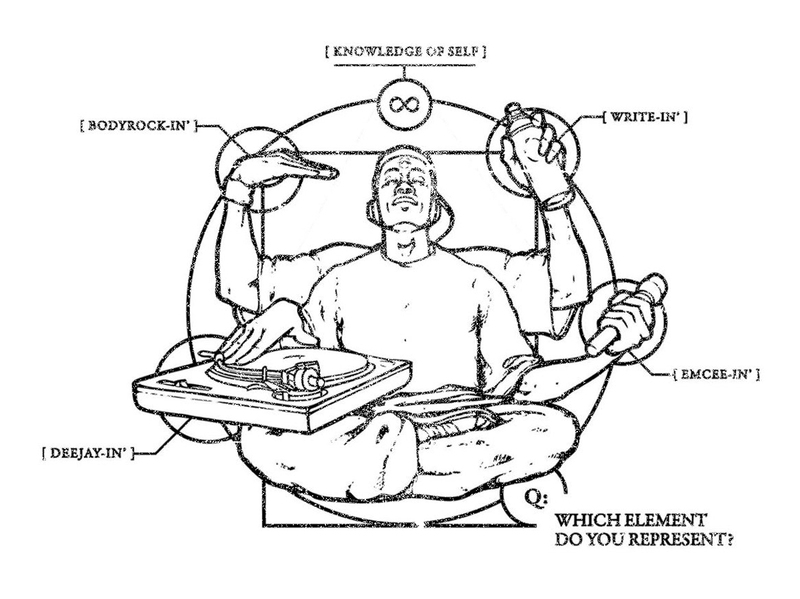 "The Shiva of The 5 Elements of Hip-Hop"™ image symbolises the importance and purity of the five key holistic elements of Hip-Hop: bodyrocking, deejaying, emceeing, graffiti-writing and knowledge of self-, as well as all other elements created from them. Shiva Five aims to sanctify all elements of Hip-Hop Culture, while inspiring all who contribute to and uphold The Culture in a positive way. The woman's version of The Shiva of The 5 Elements of Hip-Hop, called "The Devi of The 5 Elements of Hip-Hop"™ is currently in production. Shiva Five stands for the sanctity of Hip-Hop Culture via healthy and creative self-expression, as well as for the advancement of creative education for children and young people around the world. Shiva Five aims to sanctify all elements of Hip-Hop Culture, while inspiring all who contribute to and uphold The Culture in a positive way. You may receive emails regarding new blog articles, releases and merch discounts from Shiva Five. ©™2019 SHIVA OF THE 5, LLC. ALL RIGHTS RESERVED.